Hector Perez does not have any MLB stats for the season. Hector Antonio Perez ... Signed by the Houston Astros as an international free agent on July 7, 2014 ... Favourite player growing up was Hall of Fame pitcher Pedro Martinez. Set personal bests in innings pitched (115.0) and strikeouts (133) ... Began the year with Advanced-A Buies Creek ... Went 3-3 with a 3.84 ERA and 83 strikeouts over 72.2 innings of work ... Was promoted to Double-A Corpus Christi on July 11 ... Pitched in four games (two starts) for the Hooks while posting a 3.24 ERA with 18 K's in 16.2 innings ... Was traded to the Blue Jays along with RHP Ken Giles and RHP David Paulino in exchange for RHP Roberto Osuna on July 30 ... Finished his season with six games (five starts) for Double-A New Hampshire where he recorded a 3.86 ERA and 32 strikeouts across 25.2 innings ... After the season, was added to Toronto's 40-man roster to protect him from the Rule 5 Draft. Returned to Quad Cities for the start of 2017 and recorded a 2.50 ERA, 24 strikeouts and a .150 OBA over 18.0 frames ... Joined Advanced-A Buies Creek on April 28 and appeared in 21 contests (14 starts) ... Struck out 104 batters over 89.1 innings while with Buies Creek, en route to a 3.63 ERA and a .218 opponents' average. Was assigned to Class-A (short) Tri-City to begin 2016 ... Went 2-0 with a 1.57 ERA in seven games (three starts) while racking up 36 strikeouts over 28.2 innings ... Was named New York-Penn League Pitcher of the Week on July 3 after two scoreless outings (10.1 IP, 3H, 3BB, 10K) ... Earned a promotion to Class-A Quad Cities at the end of July and made seven starts for the River Bandits to wrap up his 2016 season (2-1, 4.60 ERA). 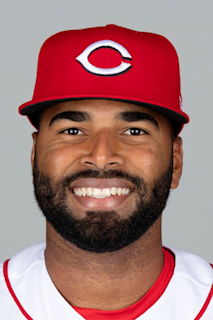 April 1, 2019 RHP Hector Perez assigned to New Hampshire Fisher Cats from Buffalo Bisons. March 11, 2019 Toronto Blue Jays optioned RHP Hector Perez to Buffalo Bisons. November 20, 2018 Toronto Blue Jays selected the contract of RHP Hector Perez from New Hampshire Fisher Cats. July 31, 2018 RHP Hector Perez assigned to New Hampshire Fisher Cats. July 30, 2018 Toronto Blue Jays traded RHP Roberto Osuna to Houston Astros for RHP David Paulino, RHP Hector Perez and RHP Ken Giles. July 11, 2018 RHP Hector Perez assigned to Corpus Christi Hooks from Buies Creek Astros. April 28, 2017 RHP Hector Perez assigned to Buies Creek Astros from Quad Cities River Bandits. July 23, 2016 RHP Hector Perez assigned to Quad Cities River Bandits from Tri-City ValleyCats. June 17, 2016 RHP Hector Perez assigned to Tri-City ValleyCats from Greeneville Astros. August 26, 2015 RHP Hector Perez assigned to Greeneville Astros from GCL Astros. July 13, 2015 RHP Hector Perez assigned to GCL Astros from DSL Astros Blue. May 30, 2015 RHP Hector Perez assigned to DSL Astros Blue. July 7, 2014 Houston Astros signed free agent RHP Hector Perez to a minor league contract.